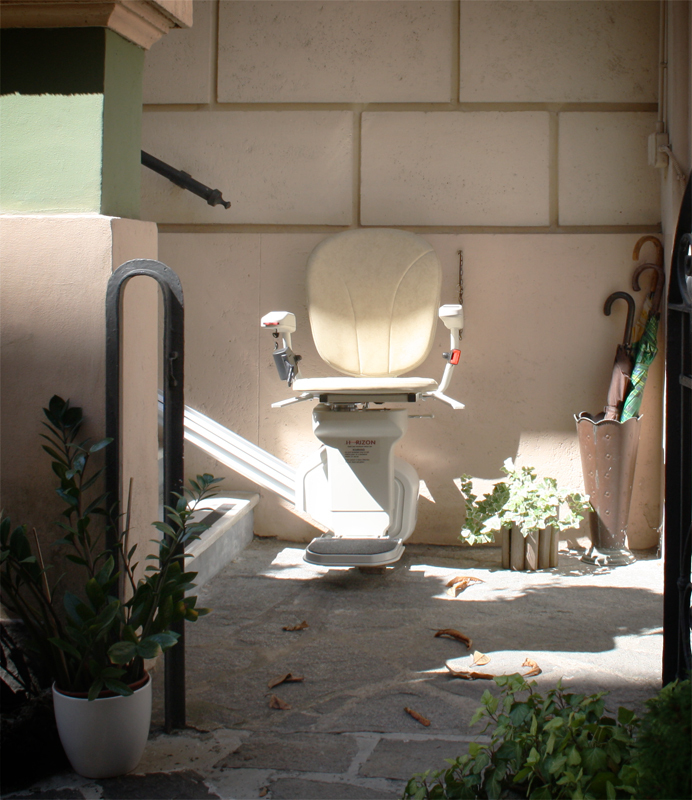 The AmeriGlide Horizon Outdoor Stair Lift is the perfect option for straight staircases and outdoor use. This easy to install model can be up in running in just a few hours and provides a safe and easy solution to overcoming dangerous outdoor obstacles. It comes standard with a joystick and infrared remote controls that allow you to travel up and down stairs with the simple push of a button. Other safety options include: a security key switch to prevent unauthorized use, a lap belt and manual lever that operates the swivel seat for hassle-free dismounts when you arrive at your destination. It also comes with a 264 weight capacity and thoroughly protected components that can withstand any weather. 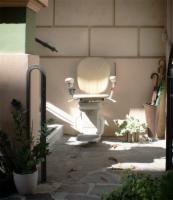 Call us today to learn more and order your Horizon Outdoor Stair Lift!